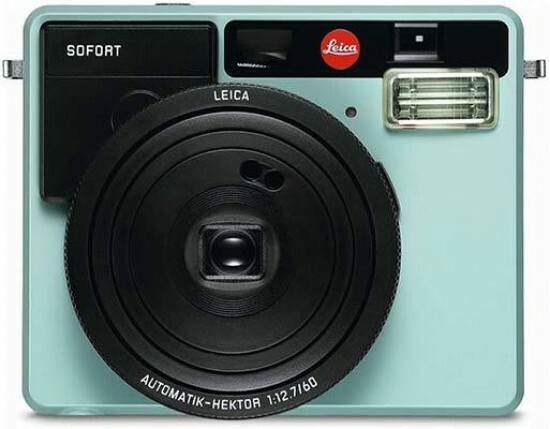 Instant analogue cameras are arguably more about the delight of a near instant print than professional image quality – and, set against a clear, crisp film or digital image the results from the Leica Sofort are never going to be the sharpest. Familiar tropes expose themselves immediately (no pun intended). For example, use the flash from any closer than three feet away and the bleaching effect means your subject runs the risk of resembling a ghoul on the final print. Luckily the flash can be manually disabled and there is a red eye reduction setting usefully offered too. We didn’t notice any instances of red eye when using the flash. Also the selfie mode – probably the setting that will be most commonly used on a camera such as this – seemed to work well, avoiding a blurred image even when we could only hold the camera at arm’s length. On the whole we got properly focused images from general use of this camera, even if resultant prints are a little softer than we’re now used to seeing from processed digital files anyway due to the nature of the medium. As we noted at the start of this review; you’ll be buying this camera primarily for a bit of fun and the spectacle of images slowly developing before your eyes rather than pin sharp results every time. View the picture prints this camera produces as an aide memoire and a record of a certain moment in time and you won’t be disappointed. If you’ve got children or are using the camera in a family setting this is when the Leica Sofort comes into its own, as both a object of fascination and a tool with which to entertain.